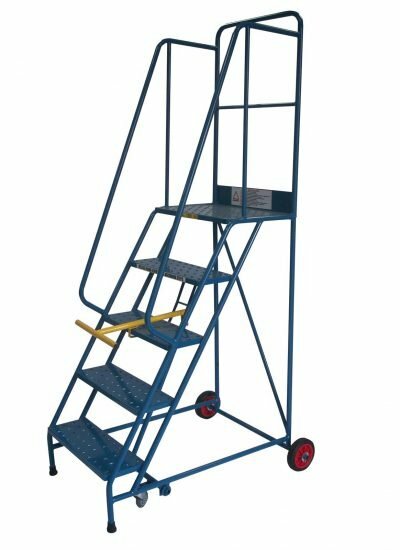 ALL IMPROVED – Ultra Stable Heavy Duty Platform. 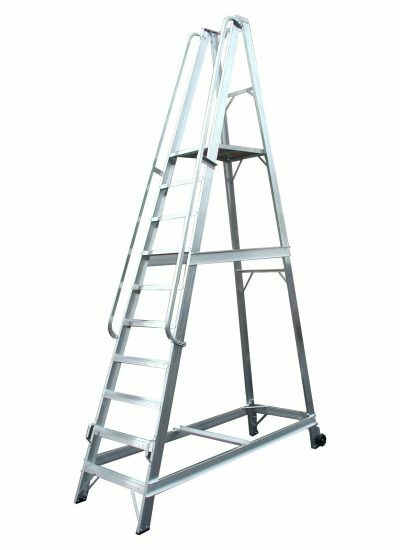 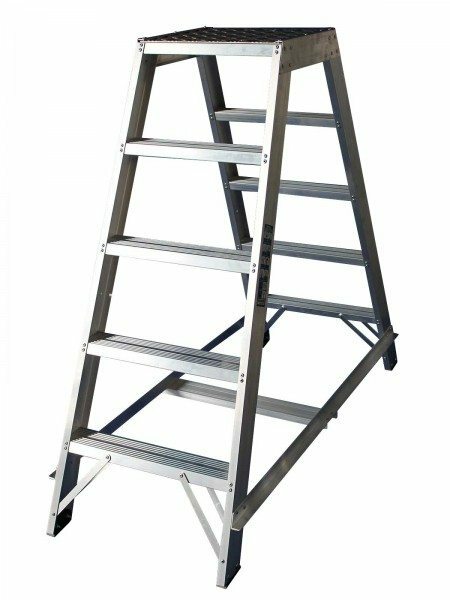 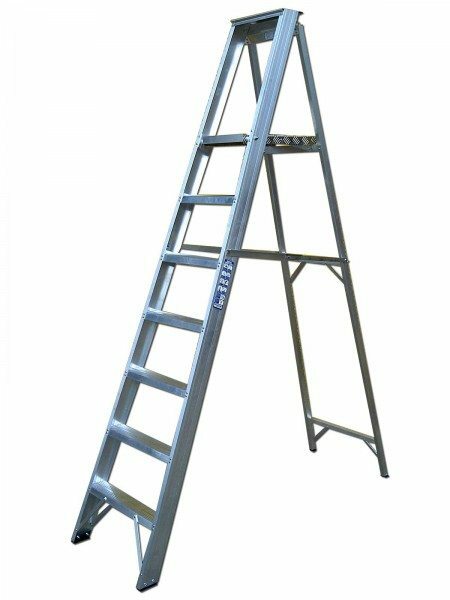 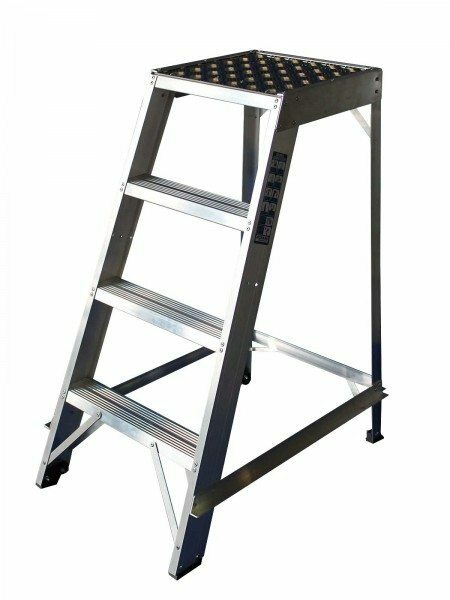 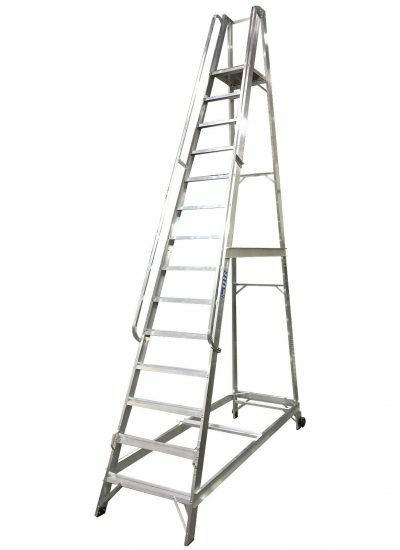 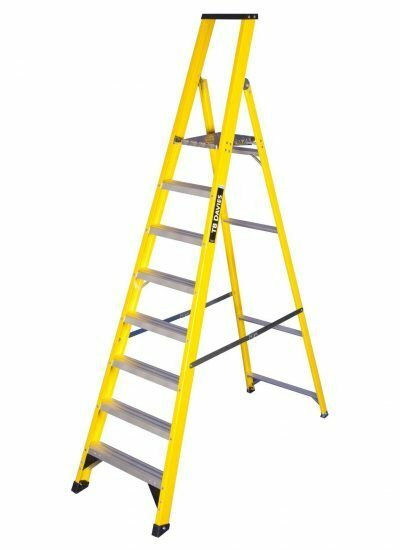 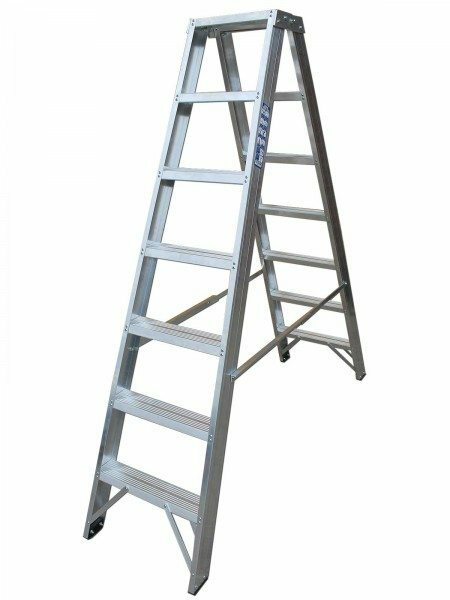 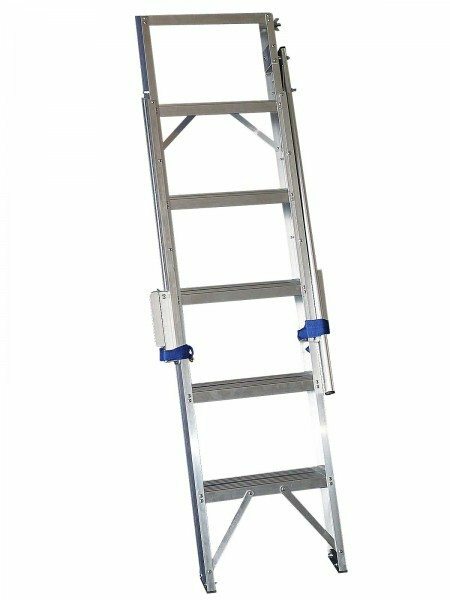 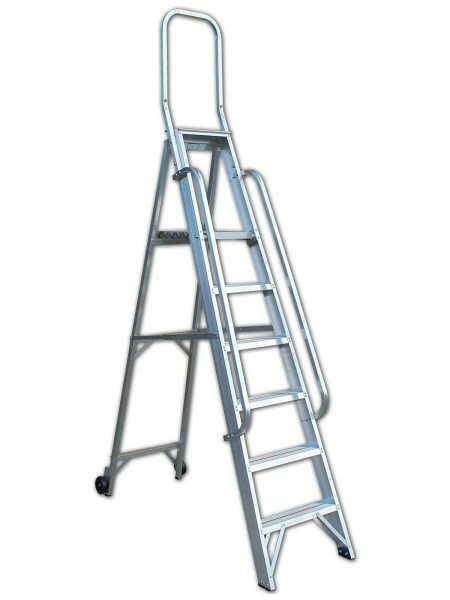 A range of safety folding platform steps designed & built to BS2037:1994 Class 1 Industrial standards with a 175KG maximum permissible vertical static load and 130KG duty rating. 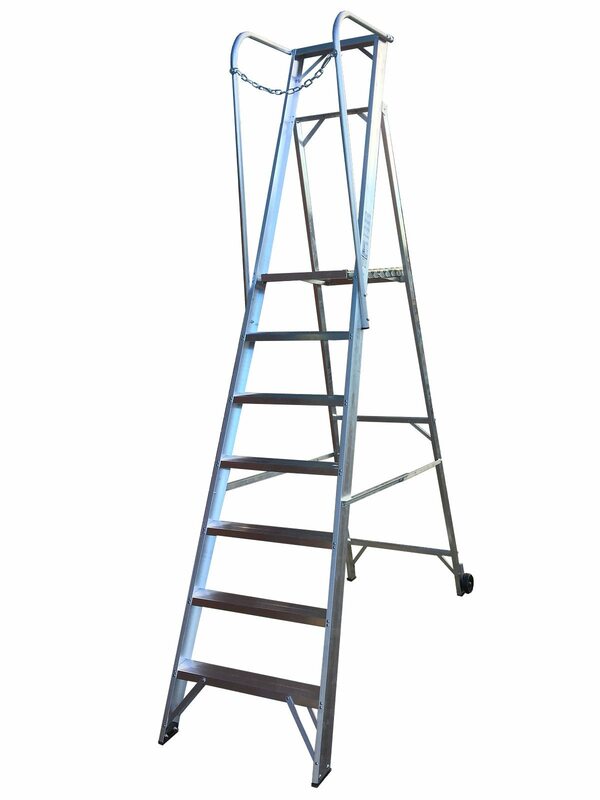 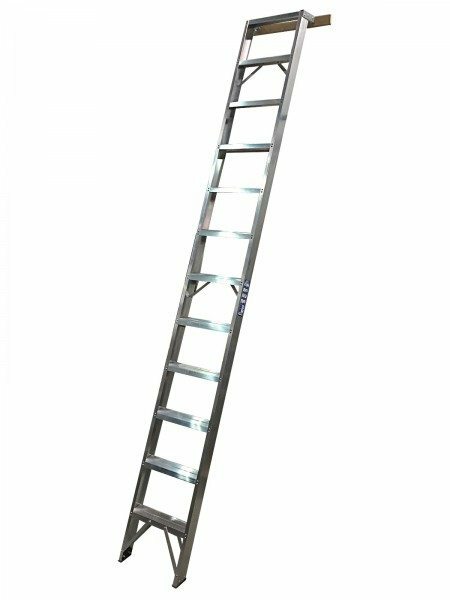 Designed and manufactured in The UK by Chase Ladders. 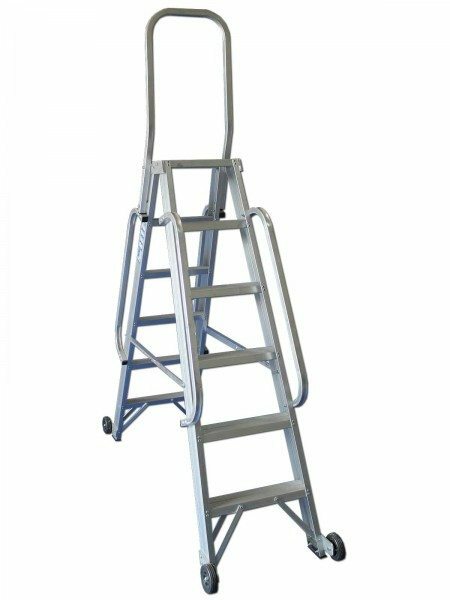 • Extra heavy gauge PAS250 load test compliant handrails with safety chain & retaining clip – ensures a rigid non-twist structure and provides a safe & secure working platform. 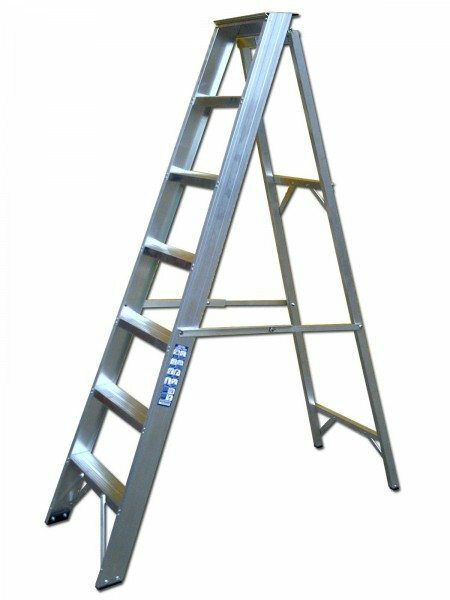 You can download the Safety Steps (Wide) data sheet here for quick reference - 463kb Adobe .PDF file.